The next step up is 8K, eight times 1080p resolution. Those TVs won’t be on the market until late 2019 at the earliest, and any decent selection of movies, TV shows, or games will take even longer. Don’t wait around if you’re looking to buy any time soon. 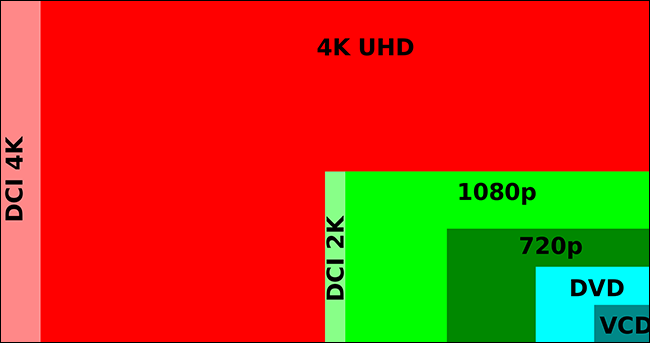 A television’s contrast ratio is the difference between the panel’s darkest darks and lightest lights. It’s expressed as a ratio: 1000:1 or higher is typical. A higher contrast ratio means a more vibrant, rich picture, especially in dark scenes. Unfortunately, contrast ratios are hard to define and lack standardization, so the specification is pretty useless as a means of comparison. “Dynamic” contrast ratios, adjusting the backlight on different portions of the screen panel to match that particular section of the image on the fly, make things even more complicated. A 100,000:1 dynamic contrast ratio is a hard thing to measure with your eyes, since different parts of the backlight will be illuminated to different degrees every second. HDR stands for “High Dynamic Range.” It started off as a photography technique that uses multiple photos of the same subject, taken at different exposures, to bring out the most vibrant colors in a combined image. It’s still used that way with photos (HDR imaging is built into new smartphones now, for example) but the technology has progressed to where we can now do this with video, on the fly. HDR TVs work with all standard video sources, but only that video which is created with HDR hardware in mind will actually see the benefit. Generally, this will be indicated on the medium: HDR-capable Blu-ray movies will be marked as such, and the latest game consoles (Xbox One X and S, PlayStation 4 and 4 Pro) all support it. HDR is another feature that’s tricking down to almost all levels of new TVs. It won’t cost you any extra on a medium or large panel, so you might as well get it. The TV’s refresh rate is how many images it can display per second. All modern TVs are at least 60 hertz (Hz), with more expensive models offering 120Hz or even 240Hz. Most of the time this won’t matter: TV and movie content is almost always displayed at 24 or 30 hertz. Scaling that up to 60Hz isn’t much of a change. But if you display your content at 120Hz or faster, the motion can look smoother. Some viewers like this advanced motion, some don’t, often calling it a “soap opera effect” that differs too much from a conventional viewing experience. To learn more about this, and how to turn it on or off, check out this How-To Geek guide. Gamers may be particularly interested in a TV’s refresh rate. 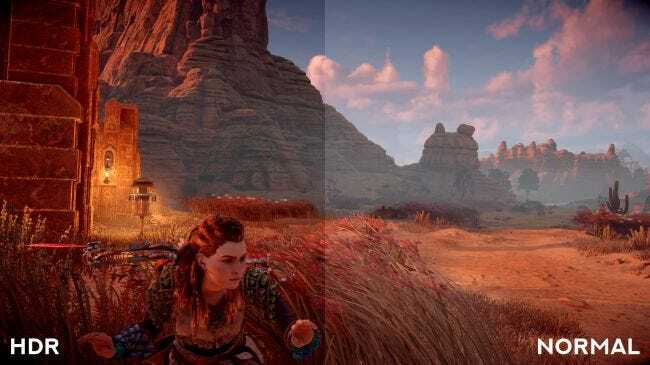 Most console games aim for 60 frames per second performance, but advanced consoles like the Xbox One X and powerful gaming PCs can output games at 120fps or higher. Match up a higher refresh rate and a higher frames per second, and you get silky-smooth game animation that looks fantastic. You probably don’t have any particular need for 120Hz if all you ever watch on your television is TV and movie content. If you’re on the fence, ask for a demonstration of 60Hz vs 120Hz at an electronics store. 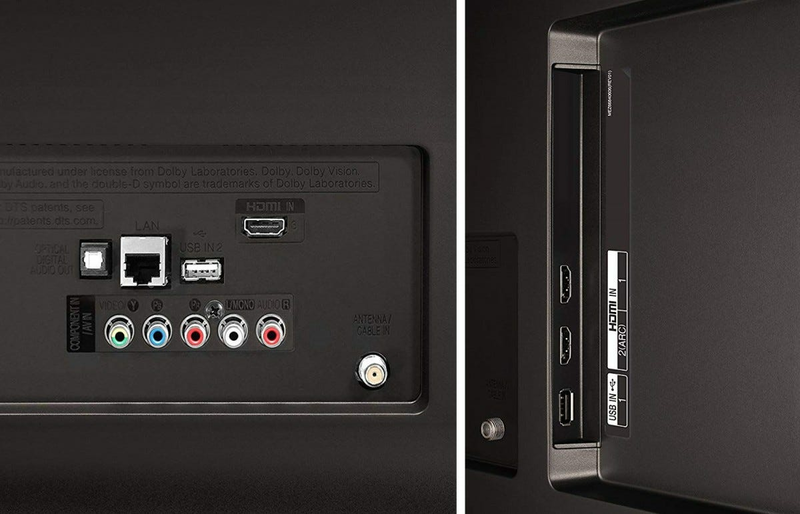 Inputs are everything that plugs into your television, not including the power cord. Most modern TVs have at least two HDMI ports, more often three—HDMI is the standard cable type for HDTV content. More expensive televisions will have four or more. Note that not all HDMI ports are created equal. 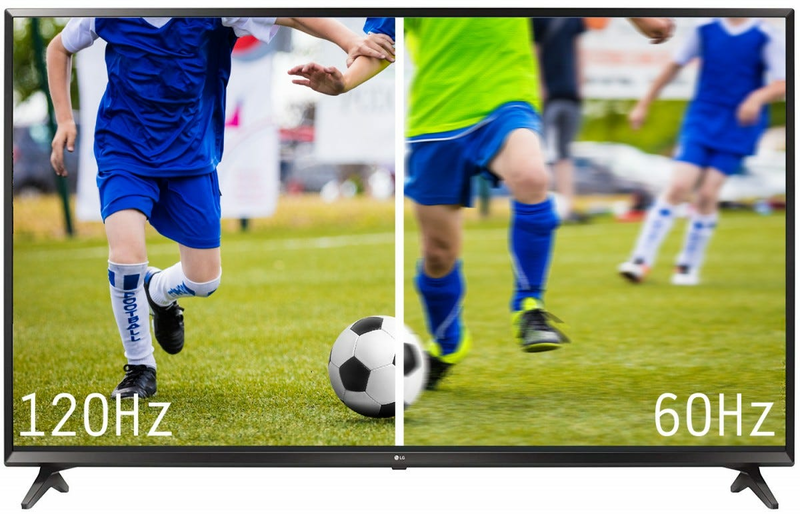 On some 4KTVs, only one HDMI port can accept a 4K resolution signal, so you’ll want to look for a model with multiple 4K HDMI ports if you’re planning on using more than one 4K source at a time. HDMI-ARC is for the Audio Return Channel, a more advanced variant that’s necessary for some soundbars and audio receivers. Most mid-range and high-end TVs also have an optical cable jack, which is also for sound (despite what the name might imply). Other input options include composite (red-white-yellow, often called “RCA”), S-Video, and component for older devices, plus a headphone jack for standard stereo audio. Most new smart TVs have an Ethernet port for wired data (in addition to the Wi-Fi built-in), and some also have more exotic USB ports or DisplayPorts for PCs. All televisions sold in the US should have at least one coaxial input for a digital antenna, which can be used for over-the-air television or some cable systems. When choosing a new TV, make an inventory of everything you intend to plug into it, including data and audio. If you’re only looking to plug in a mid-range console and maybe a Blu-ray player, you have nothing to worry about. If you have a DVR, three consoles, a surround sound receiver, a 4K Blu-ray player, and you want them all to have access to Ethernet, you’ll have to hunt for a TV that can handle your setup. If you’re debating between two sets and sacrificing a feature you want just to get more HDMI ports, however, consider how make-it-or-break-it HDMI ports are for you. If most of the stuff you’ll be plugging in is used infrequently, you might be better off getting the TV you really want and buying an inexpensive HDMI switch so those seldom-used devices can share a single HDMI port. Speaking of gamers, input lag or display lag is only going to be important to them. 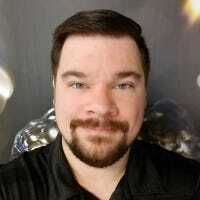 Input lag is the time it takes for an image to get from the TV’s processor to the screen, generally around one-hundredth of a second (10 milliseconds). But for gamers, every millisecond counts. In fast-paced shooters or one-on-one fighting games, ten milliseconds can be the difference between victory and defeat. So if you’re planning on playing a lot of competitive games, you might want to look for a TV with a lower input lag, 5ms or lower. Some TVs feature a “game mode” that can boost this by turning off some of the picture-improving image processing. Your TV will look a little duller in this mode, but it might be worth it, especially if you can set it to only activate for a game console. Even so, not all smart TV systems are created equal. We’re partial to the simplicity and wide selection of Roku, which comes pre-loaded on TVs from TCL, Sharp, Philips, Sanyo, RCA, and several others. A close second is Android TV, which is the default interface for Sony TVs and is also available on some Hisense, Sharp, and Philips sets. Toshiba and Insignia have TVs with Amazon’s Fire TV system pre-loaded. LG, Samsung, and Vizio use their own proprietary systems. Some newer models will also accept commands from a smart home system, like Google Assistant or Amazon Alexa. With the exception of Apple TV, most smart TV systems have apps for all the major video services. If you don’t like the smart TV system built into your new TV, you can always plug a stand-alone Roku, Chromecast, Apple TV, or Fire TV device into one of the HDMI ports and use it that way. TVs are getting thinner and thinner, which means there’s less and less room for good speakers built-in. 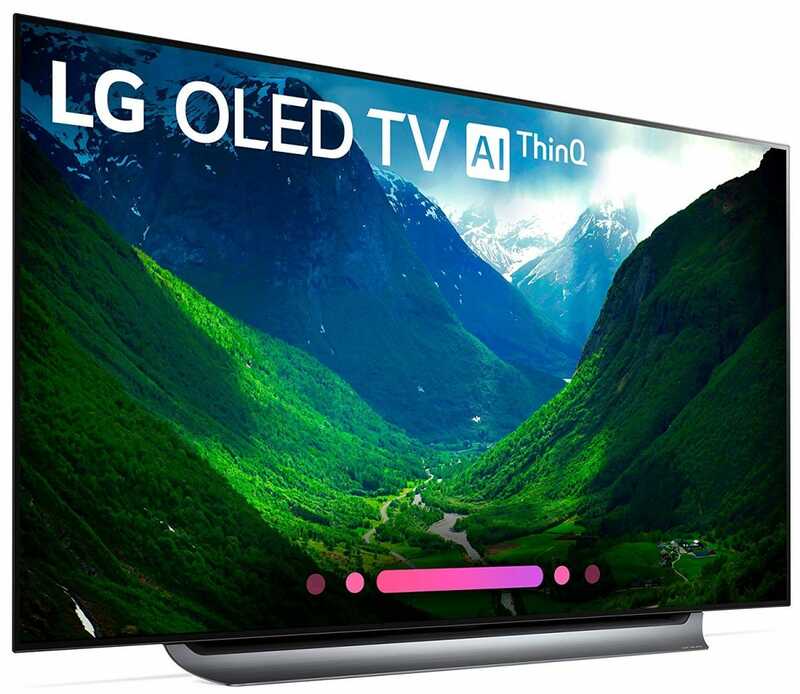 While the old CRT TVs often included quite good speakers, LCD and OLED TVs typically aren’t loud enough to fill up a large living room all by themselves, even on the largest and most expensive models. If you’re strapped for cash or you want a TV for a smaller space, the integrated speakers might be enough. Test them out in a store or check reviews for sound quality if you can. Otherwise, you’ll want to augment your TV with a good sound bar or surround sound system. These can be had quite cheaply, or you can spend a thousand bucks or more on them—it’s up to you. Of course, the last thing you want to consider is how the TV looks. Or maybe it’s the first thing—that all depends on how much you want your TV to integrate with your home’s décor. 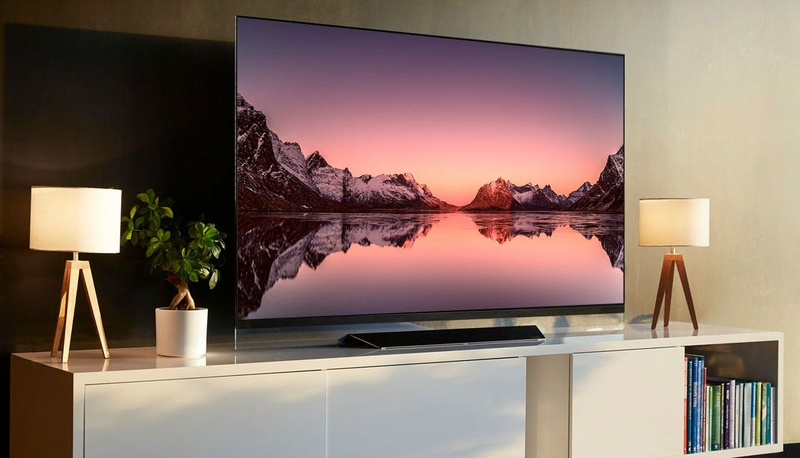 Most modern TVs are little more than big rectangles, but some of the stylistic touches on the high-end models (especially the curved ones) are very appealing. 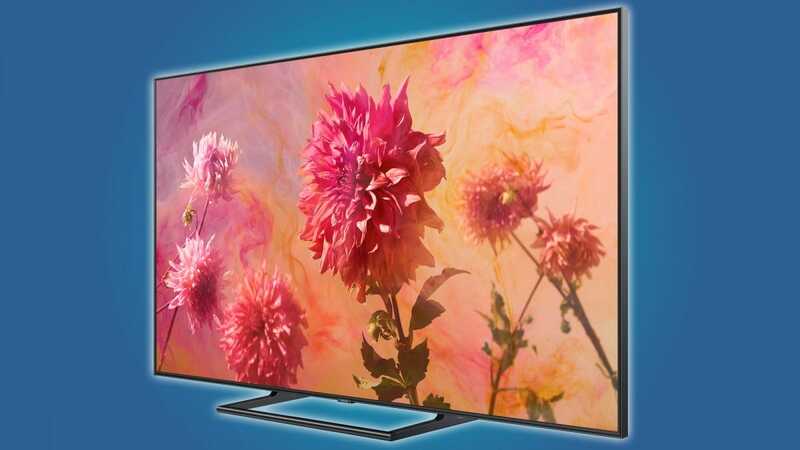 Some high-end TVs even include an integrated bias light or are small and light enough to do double duty as a digital painting frame. The aesthetic worthiness of a TV set is all relative. Just be aware that, if you find one that’s particularly pretty or stylish, it’s probably going to be a good bit more expensive than other sets with the same technical features. Slicing and dicing fruits and vegetables is a key part of preparing a fresh home-cooked meal. It’s also inconvenient, time-consuming, and potentially painful. We’ve checked out the best kitchen gadgets for saving you time, effort, and knicked fingers.